Need help buying that new or pre-owned car? 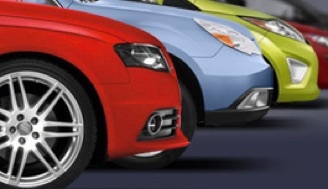 Put a car buying Pro on your side and save time, money and aggravation! Serving thousands of happy customers since 2006! Often copied but never replicated, Scott has served thousands of happy car buyers in the Boston metro region since 2006. Purchasing and leasing more than 10 cars a week, Scott provides a professional new and pre-owned car buying concierge service that advocates for the consumer in the car buying process; thus delivering a stress-free and valuable alternative to the traditional car buying experience. From start to finish, you will be guided through the process that will be catered to your personal vehicle preferences, finance options and best choice regarding your trade in. Scott then locates your specified vehicle and works the deal. Scott does not stop working for you until you have taken delivery of your new vehicle and feel completely satisfied! Most buyers think the financial aspect is over once the deal is struck. Wrong! There are many details still remaining that need to be addressed that can cause your deal to go from good to bad. Scott prepares you in advance and advocates for you in person during the most critical part of the process – finalizing the purchase and sale contracts. Most people dread going to the dealer to go through the process of purchasing a car, but Scott made buying our car an easy and dare I say, “enjoyable” experience. His knowledge and expertise is unmatched! I will never purchase a car again without Scott!! Working with Scott was by far the best experience I’ve ever had buying a car. He has a wealth of knowledge that the ordinary buyer simply doesn’t have, and he uses all of that to the benefit of his clients. Scott is highly available and ensures that his clients are well informed. I absolutely recommend his services! Instead of going from dealer to dealer spending days listening to salesmen and trying to buy your car on your own, why not hire a seasoned automotive expert and car buyers advocate to expedite the process for you? 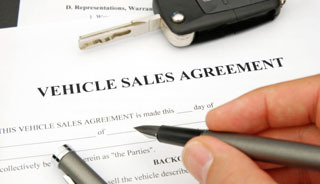 As a dealer insider and one who purchases several cars a week, I can save you time, money and aggravation! In the end you will have spent a little and purchased a vehicle that is just right for you! * I do not accept commissions from dealers – I only work for you! Used cars are a great value but finding a good example can be difficult when it comes to locating a vehicle from a trustworthy source and assessing the condition. My skills and experience in this area will ensure that I separate the real deals from the lemons. The Pre-Owned Car Buying Concierge Service includes an inspection and road test to ensure the vehicle meets my standards before I can recommend to one of my VIP customers. I am also a licensed dealer and can procure one owner lease return vehicles direct from the manufacturers on your behalf. These are the same vehicles franchise dealers stock for their Certified inventories. Would you prefer contact by phone or email?